I just wish it didn’t have to end so soon. On Monday, March 17th, San Francisco’s Latino Mix 105.7 stopped playing a constant loop of Nelly’s “Hot in Herre.” It had been playing repeatedly, with only commercial interruptions, since 3 p.m. of the previous Friday. Apparently, it just got too hot in therre. If you’re like me, you don’t often think of Nelly. Sure, you remember him from time to time, but mostly because he just won’t let you forget him. He suddenly shows up ridiculously jacked somewhere. Or, he randomly performs with Pharrell’s hat at the NBA All-Star game. And when he does force himself into your consciousness, you just feel … well, awkward. Nelly reminds you of being 13 again. And of middle school dances. And of early 2000s fashion. It’s not good or bad necessarily, it’s just weird. But this weekend, as “Hot in Herre” played over and over and over, you didn’t really have time to feel awkward. You only had time to ponder the profound, philosophical issues that “Hot in Herre” forces us all to contend with, as the song lyrics buried deeper and deeper into your mind. Questions like, “When is the right time to flash them keys?” and “What am I doing at the bar if I ain’t poppin’ the bottles?” demanded to be answered. I only wish I could answer these questions for you, and I may have been able to had Latino Mix 105.7 committed themselves fully to Nelly. Instead, they were just cynically using Nelly and “Hot in Herre” as a cheap publicity stunt. For shame Latino Mix 105.7, FOR SHAME. Let’s not dwell on the end though, friends. Let’s celebrate all the joy that a continuous loop of “Hot in Herre” brought us all. 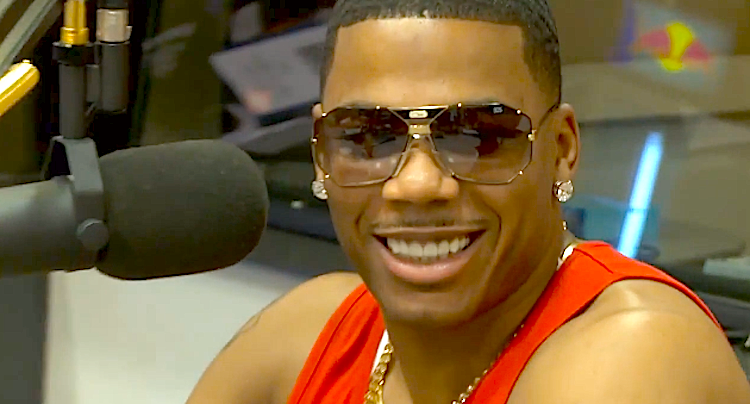 #Nelly1057 is dead, long live #Nelly1057! ♦ Viral Video of the Week: More Local News? More Local News! ← Viral Video of the Week: More Local News? More Local News!